It’s here! 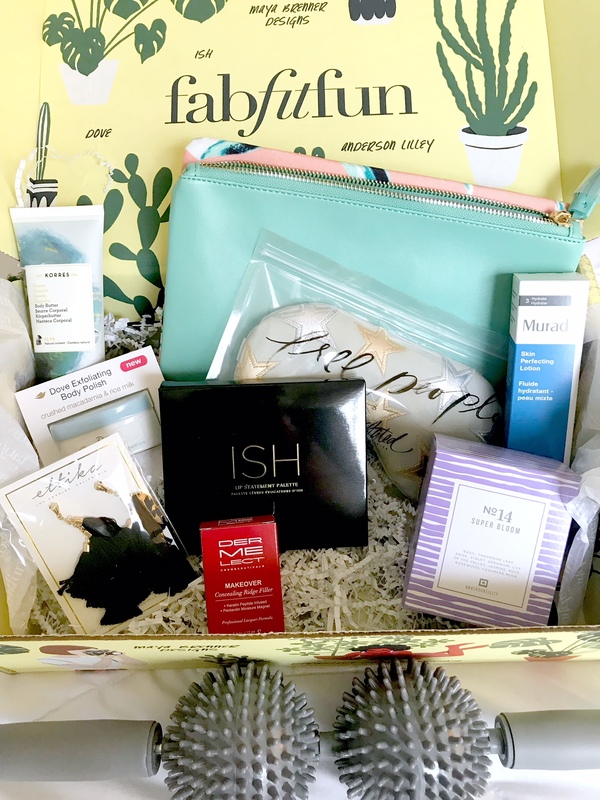 The Spring FabFitFun box got to me about a week ago, and I am so excited. 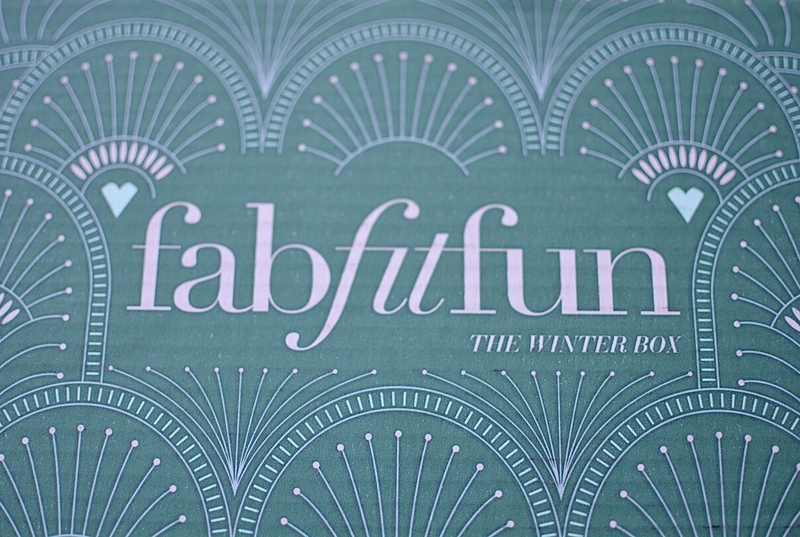 I mentioned this subscription service when I got my Winter box – it is such a fun treat to look forward to every few months! 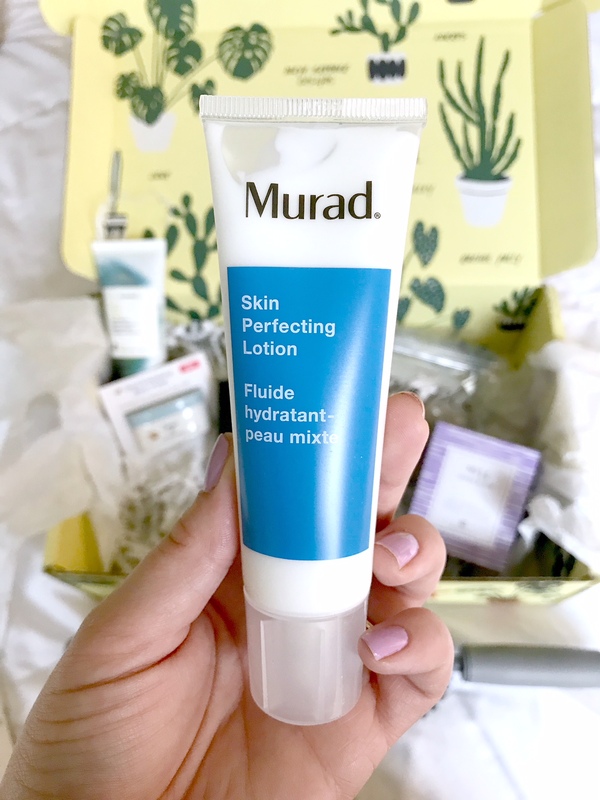 I LOVE the Murad face lotion – it is so smooth, and I really feel like I can already see a difference in my skin tone and texture already. It smells good, too! I have been using it every day. My only complaint about it would be that it doesn’t contain an SPF, so you’d still have to follow with that. I am excited to try the Free People cooling face mask, although face masks kind of give me anxiety. Is that weird?! I just feel like they’re closing in on me when I wear them! 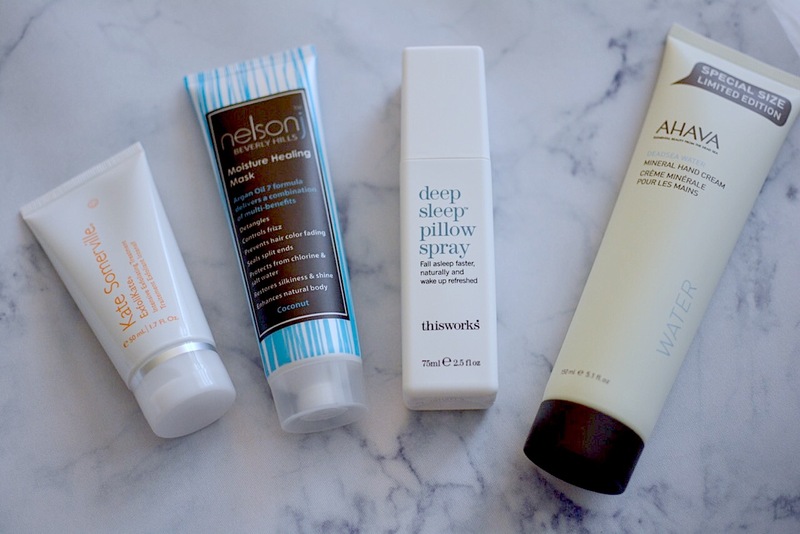 But I have several friends who swear by them, and I’m going to give it a try for puffiness and relaxation – if it’s not for the entire night, maybe my brain will feel less weird wearing it. They’re sold out right now, so they must be good! 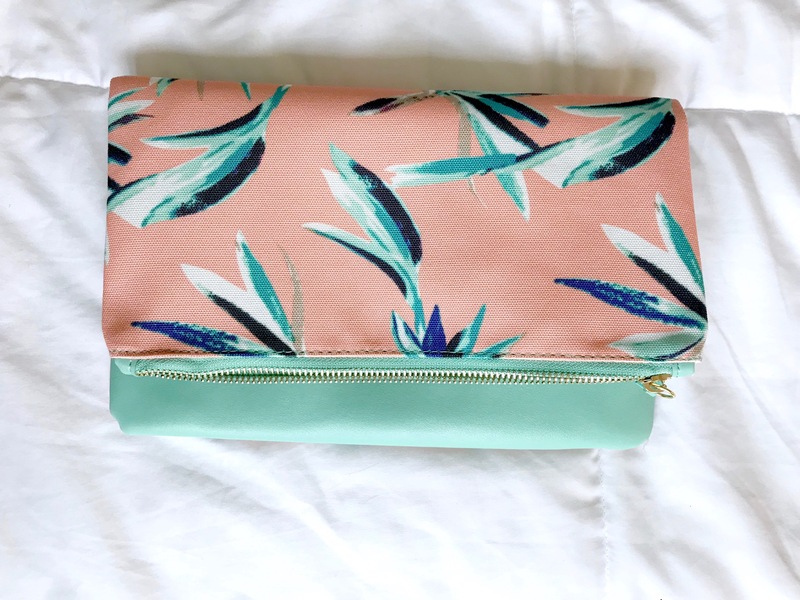 The Rachel Pally clutch is SO cute, reversible, and just in time for spring! Maybe my favorite thing in the box next to the face lotion, just because I can get so much use out of it, and since it’s reversible, it’s even better! When I opened the box, I immediately wanted to light the Anderson Lilley candle, because the fragrance was already filling up my room and it smelled SO good. Plus, I love the copper holder. Perfect for taking a bath or just relaxing at home. 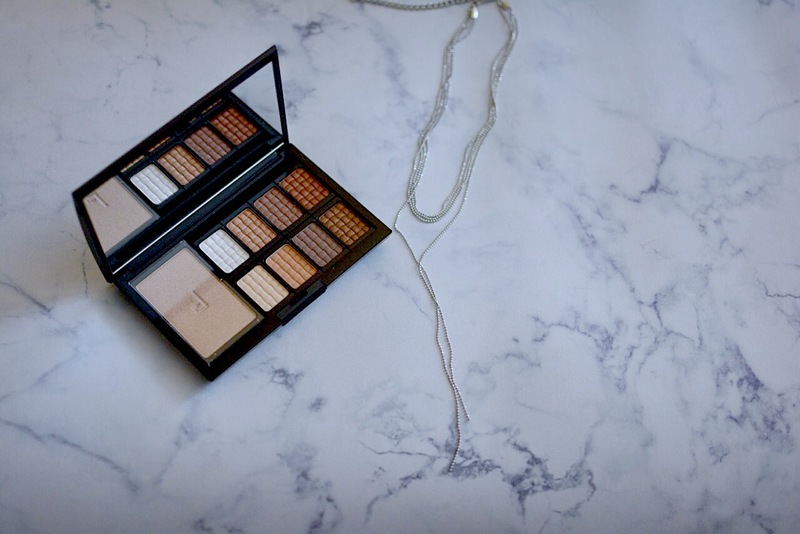 I’ve been using the ISH lip palette every day for my lip color, and I love the variety of colors and how smoothly they each go on. Definitely a bonus! 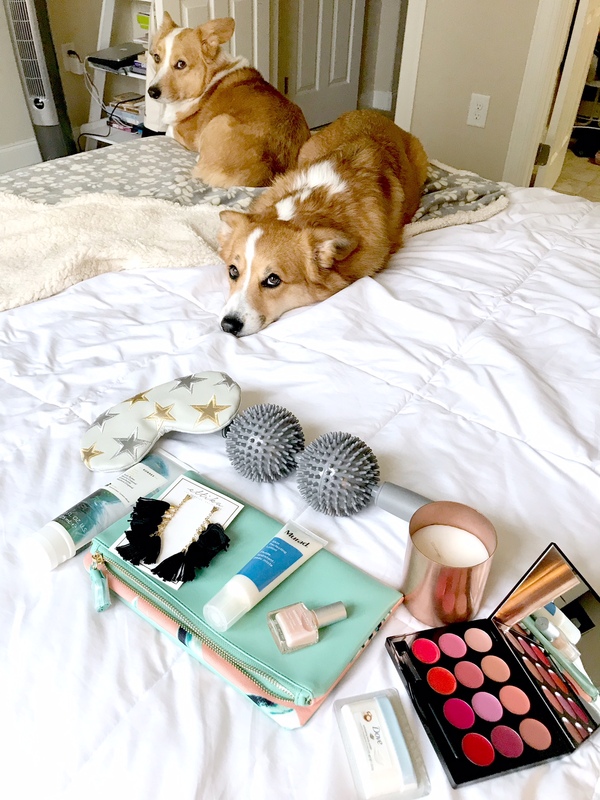 I have also been using the massage roller a ton this week – it is amazing. Andrew likes it, too! 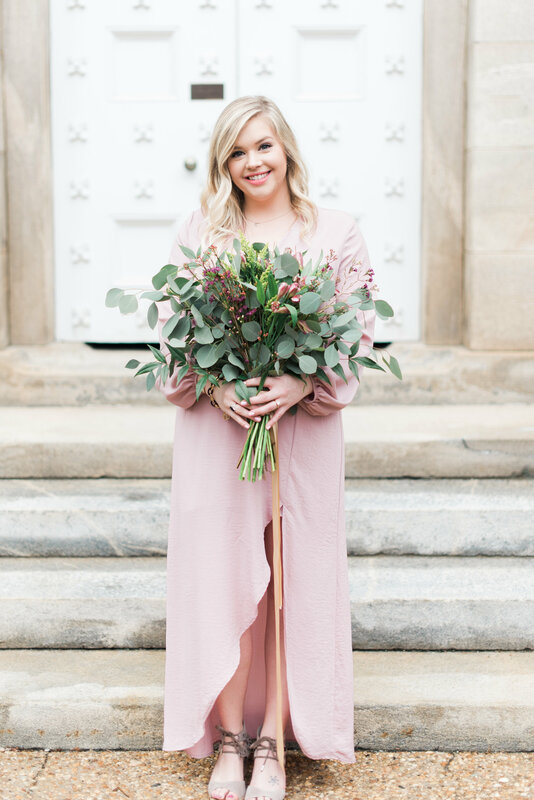 I can’t find the link to the actual roller – but I would definitely purchase it for myself just because of how great it feels! I haven’t tried any of the other items, but like I said, every part of this box was exciting to me! my two favorite items from the box! 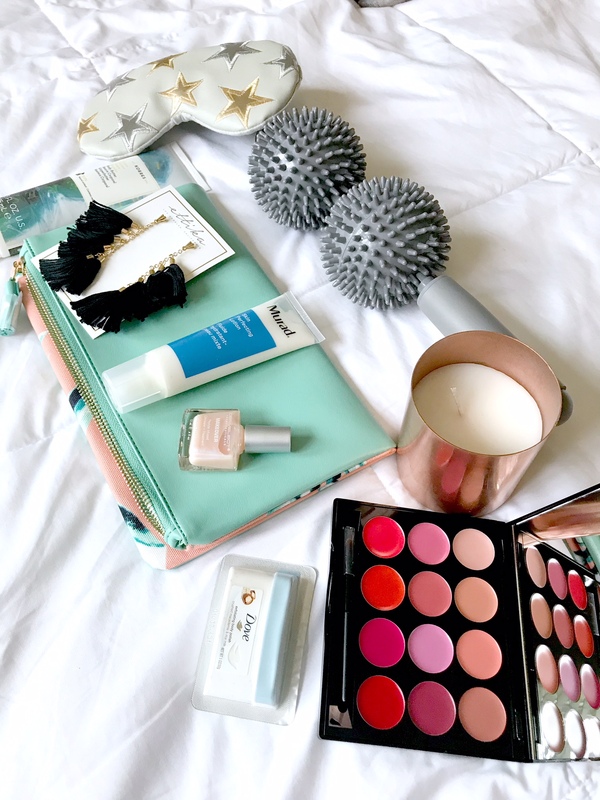 My favorite part about the FabFitFun subscription is that it is full of goodies that I normally wouldn’t spend full price on – this way, I get to try and use all of these full-sized products without breaking the bank! Win-win. 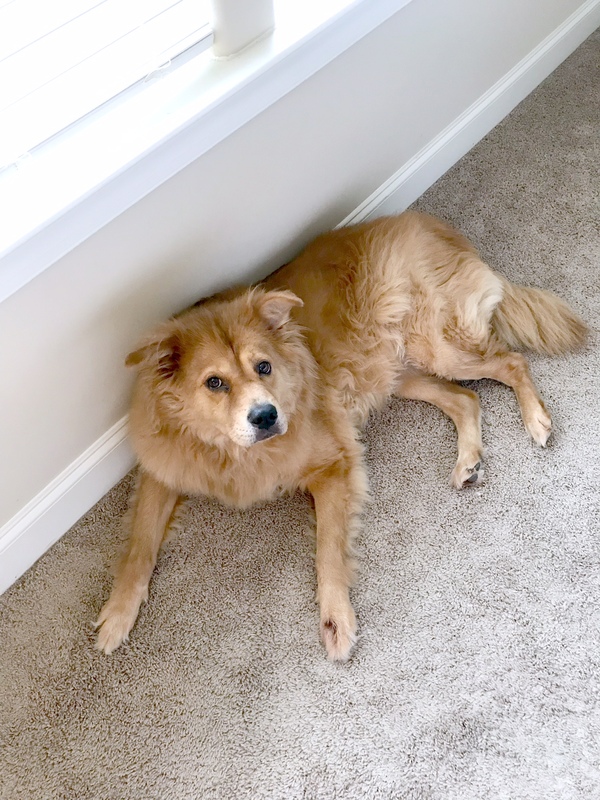 My least favorite part of the subscription is the side-eyed judgement looks I get from my dogs while I’m taking photos for blog posts – haha! A couple months ago, my friend Meghan gave me a beautiful dark red lipstick from her FabFitFun box, and I loved it! I told her I had always wanted to subscribe, but had never pulled the trigger, and that week I purchased my first one for December! My box arrived a couple weeks ago, and it’s full of so many goodies! 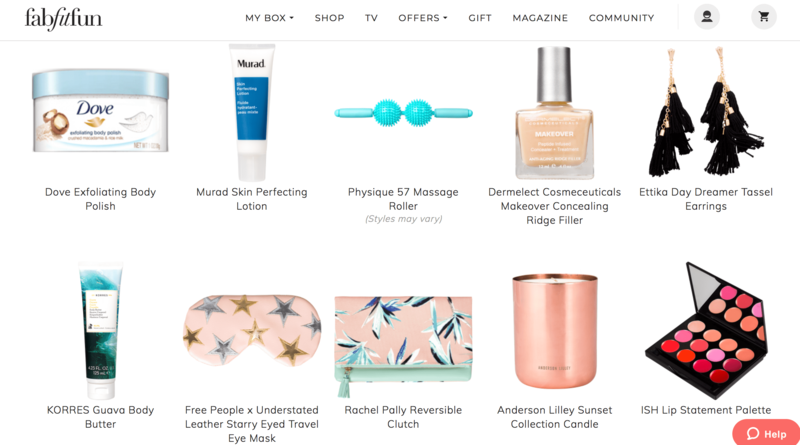 If you don’t know about the service, it’s a subscription service that has full-sized beauty products and you get them all for $50! My first box’s value is $395 – that is an enormous deal, if you ask me! I subscribed to a seasonal box, so four times a year I will get a box full of products! You take a quiz to streamline what types of items you’d like in your box. Here’s the breakdown of what I got in this box! 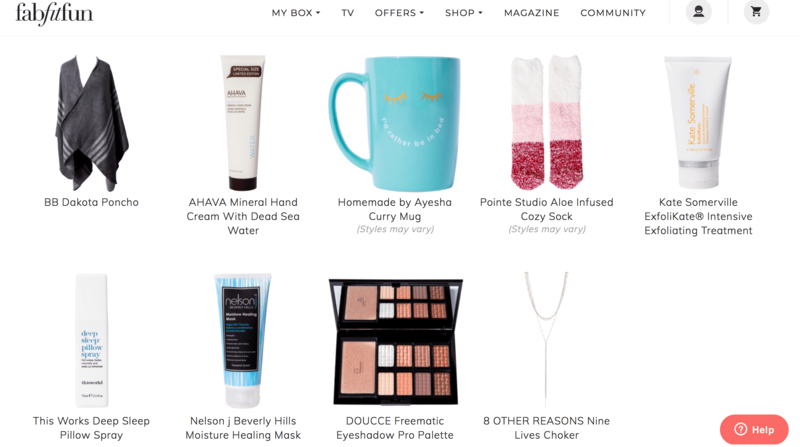 I am loving the skin/hair care items in here, and I can’t wait to try out the eyeshadow palette. There were three different mugs; the one I got is different from the one pictured! I’m not really a poncho gal, but I gave mine to my sister because she’s stylin’ and profilin’ and I know she can rock it! 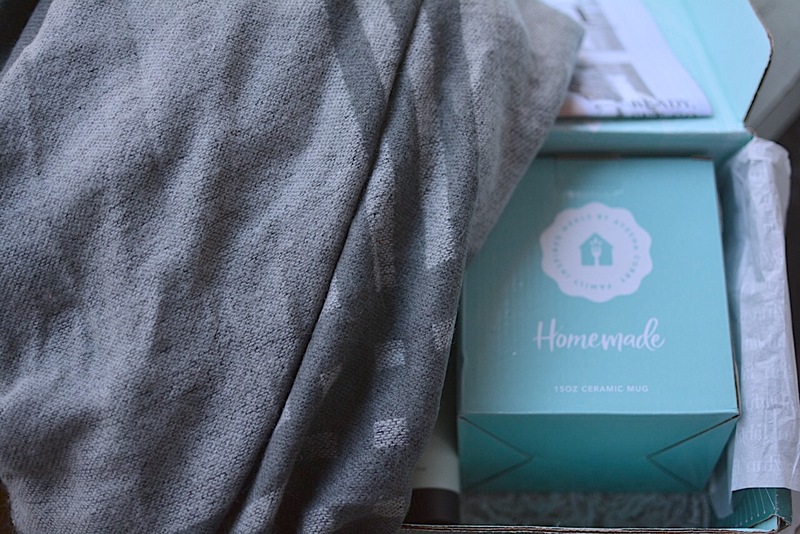 With the poncho, socks, coffee mug, and hydration products, this box had a cozy winter vibe! The Kate Somerville exfoliating treatment has RAVE reviews, so I’m delighted to give that a whirl! I’m also excited to see if the pillow spray works. I am a really light sleeper and would love to get some better sleep at night and fall asleep more quickly! I may ask my BFF Whitney if she wants to try out some of this stuff together on our annual Christmas BFF day! It’s always fun to pamper yourself and relax. This is another one of those treat yo’self items. We all have our little things we do for ourselves, and this kind of thing is mine! That and getting my nails done. But that’s just good hygiene and grooming, right?! You basically have to do that! Anyway, I love the anticipation of a new box arriving every few months with surprise items inside that I know I will love! Thanks Meghan for finally pushing me over the edge, in a good way!